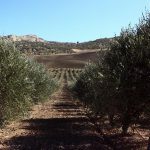 The olive tree: starting with this extraordinary plant we make the past contemporary, because the love between the olive tree and man goes back thousands of years and for over five generations the Saeli-Rizzuto family has dedicated its history to the care for this marvellous plant whose fruit is universally recognized as beneficial and anti-oxidant. 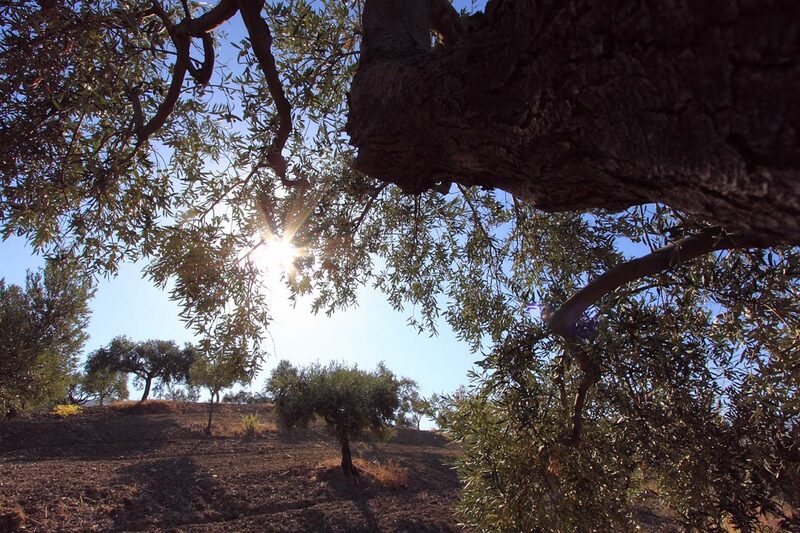 The importance of this tree was already known in past centuries along the whole Mediterranean and indeed, its fruit became a precious merchandise for trade, its fronds decorated the altars of the gods, the unguents distilled from the plant perfumed the courts of the Orient and its oil became a staple on the tables of kings and emperors. 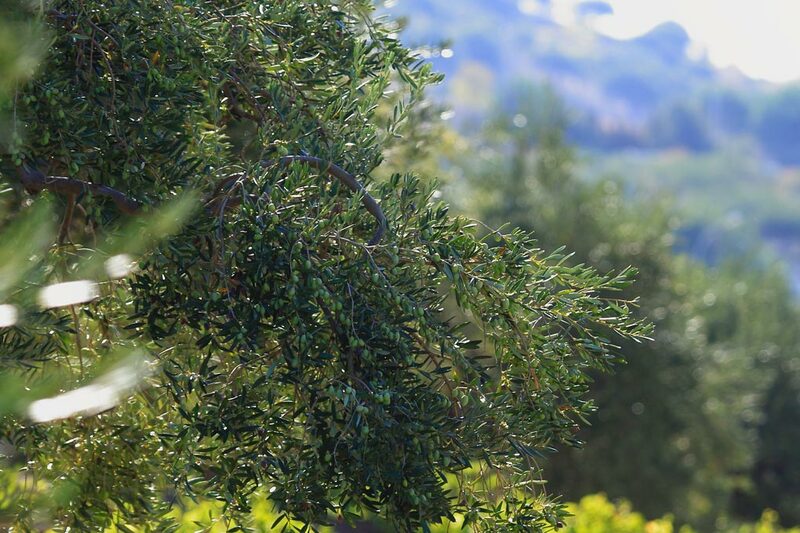 Today, in full respect for its history, our organic extra virgin olive oil is the result of ancient experience that knows and respects the secrets of the land and the seasons. 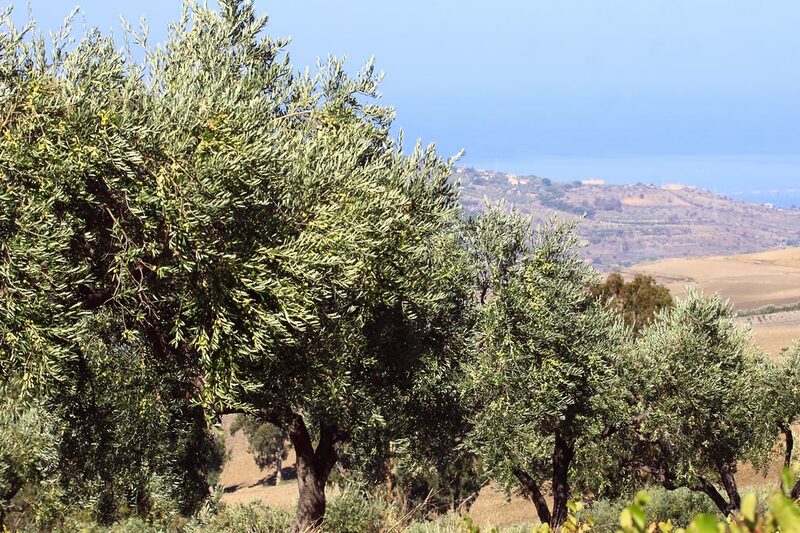 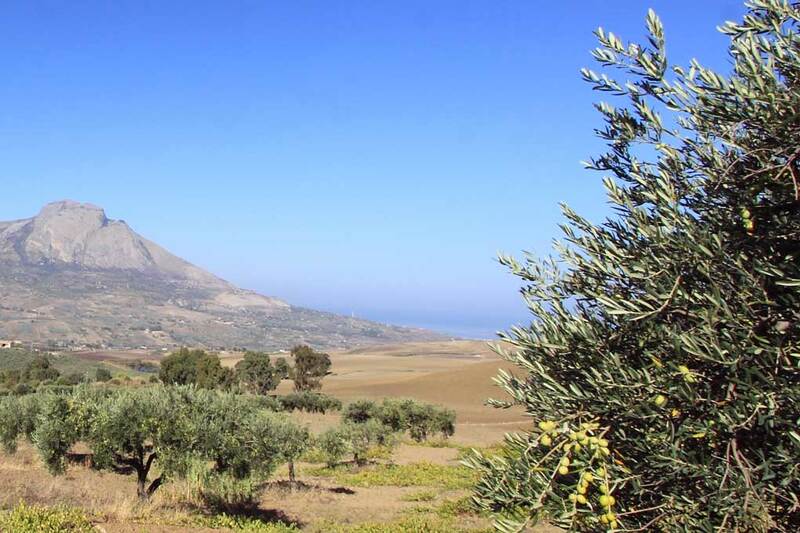 Our sustainable production of extra high quality oil takes place in two settings with timeless fascination: the lush estate of SUSAFA, immersed in the hills, and the Canna and Baccogna estate, which extends between the sea and hills in the commune of Termini Imerese. 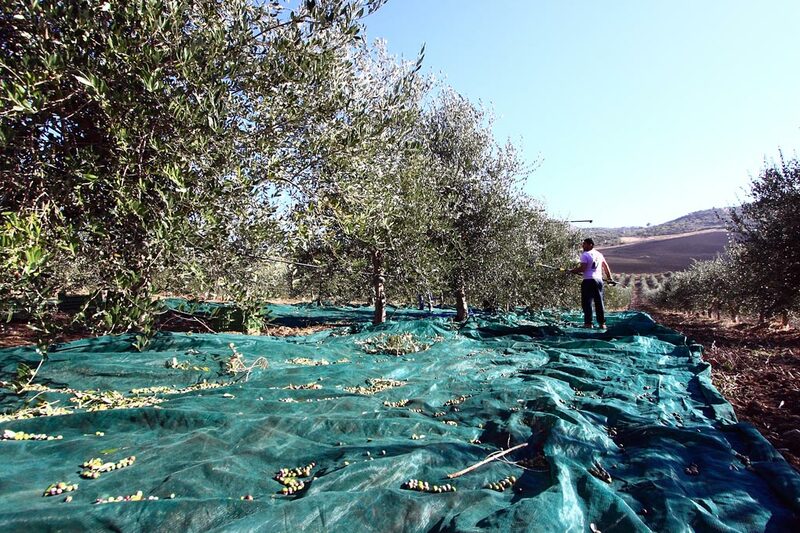 Here 33 hectares of olive orchard are located, immersed in the emerald green of spring and in the gold of the wheat during the summer months. 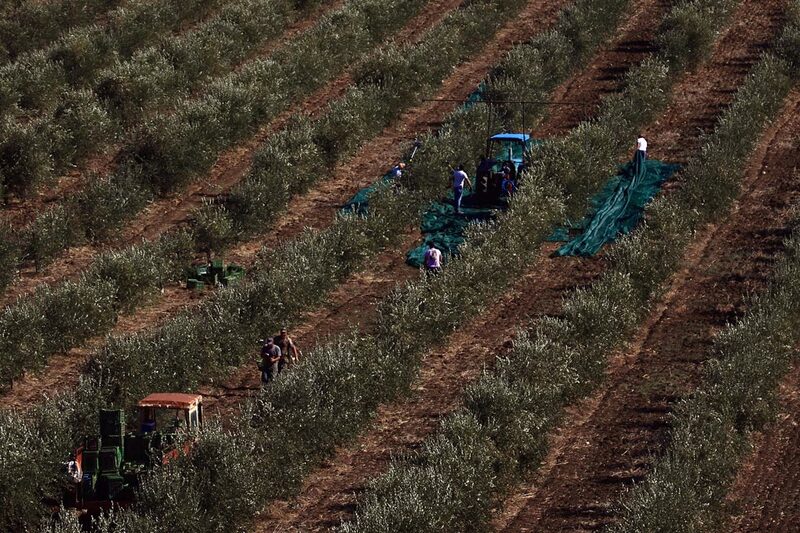 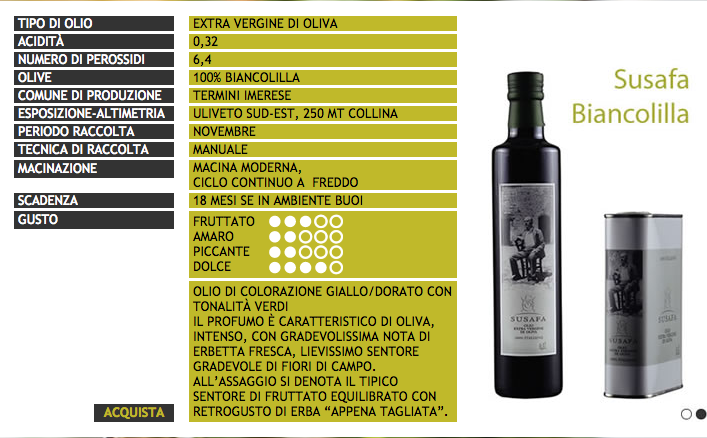 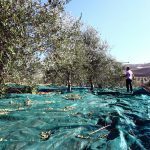 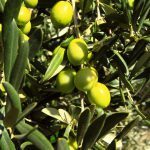 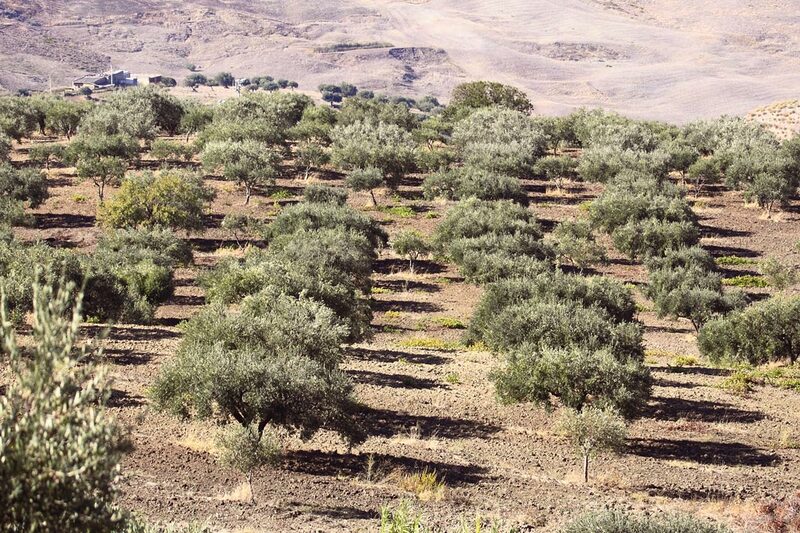 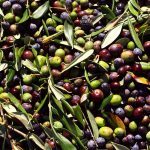 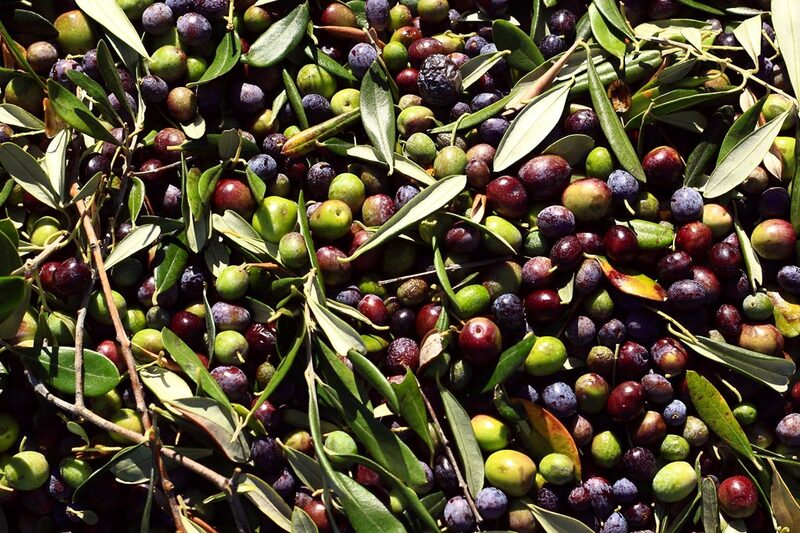 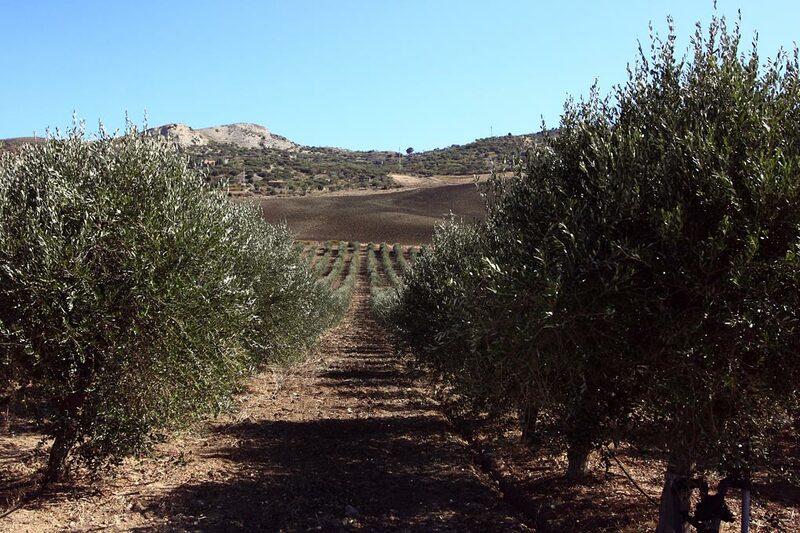 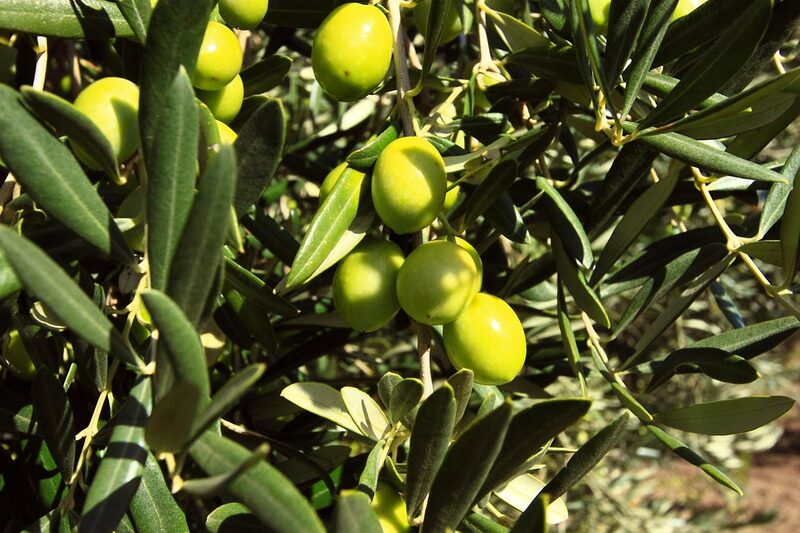 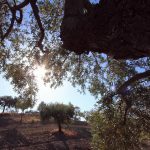 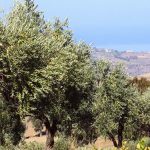 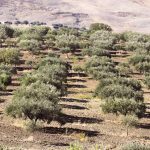 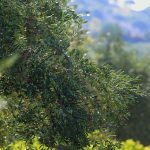 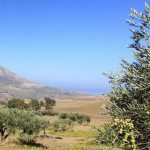 Bincolilla is the principal cultivation, but there are also trees of Nocellara, Carolea and FS17, and when the harvest begins, in mid-October, the olives are pressed within hours in order to ensure the highest quality. 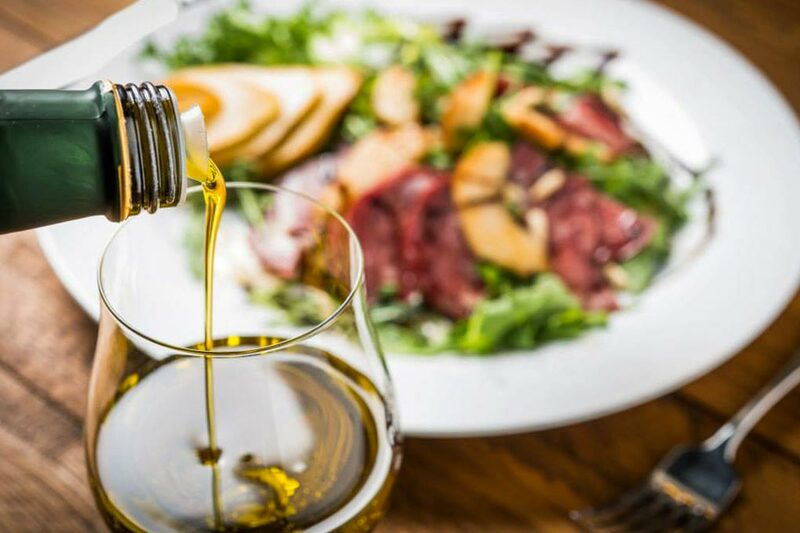 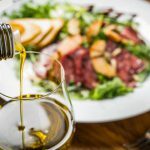 After over half a century of tradition and of excellent oil sold to the oil mill as a prized, widely requested product, the farm decided to bottle it and put it on the market, guaranteeing the same characteristics of genuineness of days gone by. 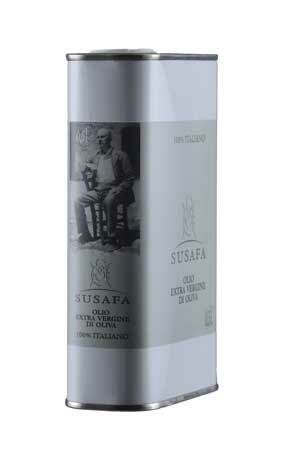 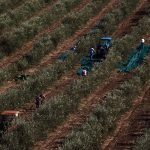 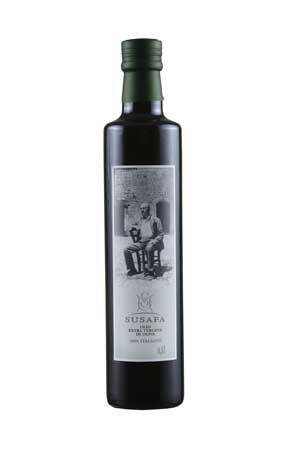 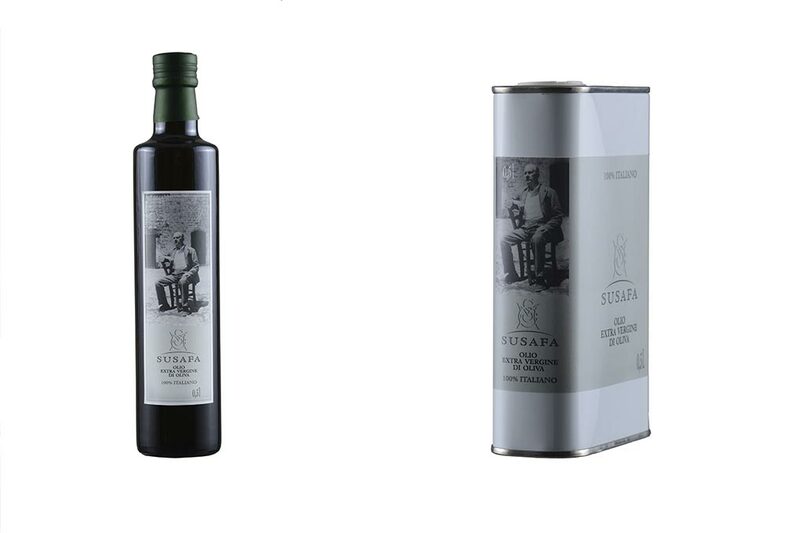 In 2009 the farm embraced organic cultivation, once again giving proof of sensitivity and attention to the environment, and new life to the precious “green gold”: Susafa organic extra virgin olive oil.